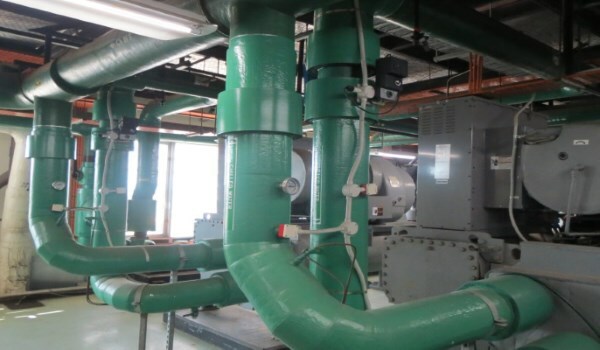 Modified existing chilled water piping arrangement and upgraded the BMS digital control system to improve the energy efficiency of the chilled water plant. Early indications are that there was a 20 – 25% reduction in energy for the chiller plant compared to the same time in 2013. Also undertook a review of the monitoring system for the Data Centre which resulted in the upgrade of the existing monitoring system and the provision of a secondary monitoring system.